Tulle and satin ball gown with hand beaded embroidered lace. Slight cap sleeves with a soft curved neckline. 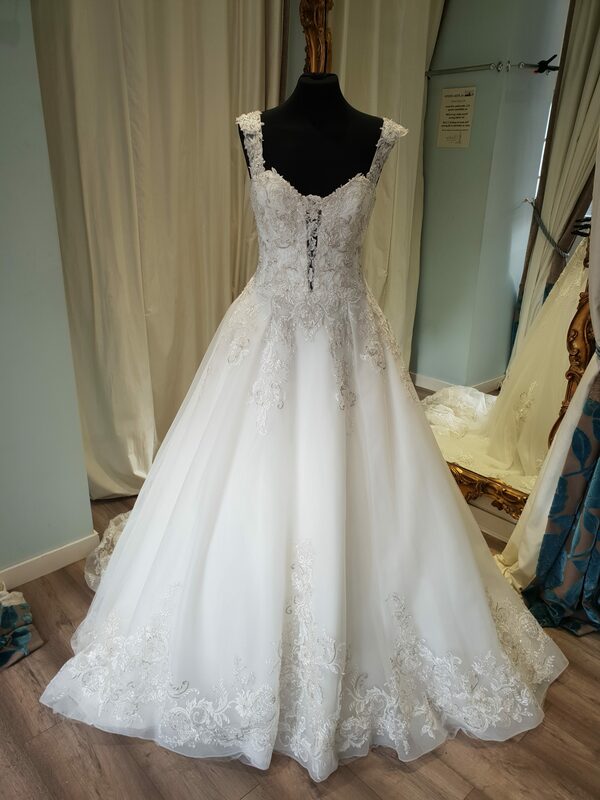 David Tutera 217202 has been successfully added to your shopping bag.